Westfield Mall revitalization keep 3,000 Brookhaven Lab jobs – Gramercy Group, Inc. 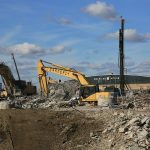 The Westfield South Shore mall has begun an $80-million revitalization project, keeping pace with the construction of a new Macy’s store on the property as well as with competitors that have embarked on renovation plans of their own. 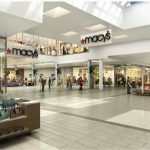 The Bay Shore mall, owned by Sydney, Australia-based Westfield Group, embarked on a face-lift after the old Macy’s was demolished last July, said mall marketing director Vanessa Mitton. By August, shoppers will see a refurbished food court, new tiled floors and new lighting, as well as revamped restrooms and a renovated family lounge. An indoor play area has already been redone. 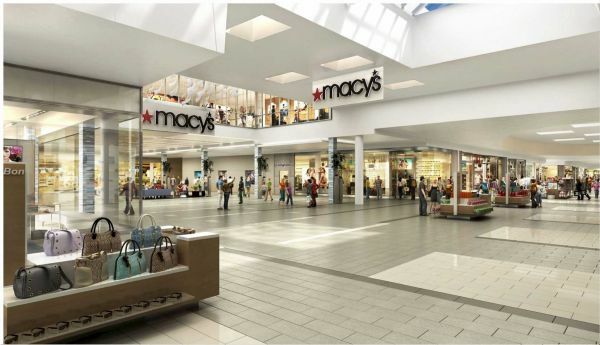 The renovation will cost $80 million excluding the work done on both the new 200,000- square-foot Macy’s and the section connecting it to the mall. Revamping the mall will bring changes to its interior design and color scheme, which will include “cleaner lines” and neutral hues underscoring an ocean vibe, Mitton said. Macy’s plans to add amenities such as an expanded shoe section and an open-air beauty department, where customers can touch products and experiment with them. Other mall tenants also have decided to renovate their spaces, Mitton said, and the mall expects to bring in some new stores later this year. Renovating and refreshing a mall’s look is crucial to both maintaining and expanding its base of shoppers as well as bringing in high-caliber tenants, experts said. Regional competitors’ remodeling projects, as well as the expansion of online shopping, have raised the bar for malls, they said. The Roosevelt Field mall in Garden City, owned by Indianapolis-based Simon Property group, has plans for a $200-million renovation that includes the construction of Long Island’s first Neiman Marcus. Another Simon property, Walt Whitman Shops in Huntington Station, is in the midst of a project to expand by about 70,000 square feet, remodel its interior and add new tenants. 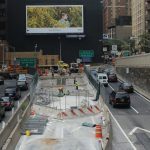 “To some extent you have to keep up with the Joneses or you run the risk of falling down a steep and slippery slope you can’t really claw your way back from,” said Ryan Severino, a senior economist with Reis Inc., a Manhattan real-estate research firm. Westfield’s renovations likely were spurred by Macy’s decision to construct a new building, said Andrew Johns, an analyst with Green Street Advisors, a real-estate research firm. Plans for the new store allowed “Westfield to be more confident spending money, knowing Macy’s also sees the same potential in that market,” he said.